If you don't know former SF NACE President John Silva, of Culinary Eye Catering you should. He is an awesome guy and an all around culinary badass and we are SO excited to be at their new space to learn from him about "How to Grow Your Business and Build a Cult Following" and snack on their beyond incredible food! Get your tickets to Tuesday's event here! Not only was Pathwater gracious enough to sponsor our last event, they are joining us next week to keep us hydrated as we enjoy food from Culinary Eye Catering and learn from former SF NACE President John Silva on "How to Grow Your Business and Build a Cult Following"! "REFILL NOT LANDFILL. GOOD FOR YOU & FOR THE PLANET"
There is still time to get your tickets! Click here to purchase them! Our May event is less than a week away and this is your official notice to add some pizzaz to your outfit because we will have The Vanity Portrait Studio by Colson Griffith to capture some fab photos of you and your colleagues! Our May Panel Discussion + Networking Event will be one you won't want to miss out on and we are thrilled to have the talented Jim Vetter Photography there to capture the evening! Not only will he be there with his camera, but he is also raffling off a free headshot session with up to five retouched images, so don't forget to ask us about raffle tickets! "We are a high end, experience-driven wedding photography studio based in the San Francisco Bay area. We serve clients with a great appreciation of photography from Carmel up to Sacramento. Our style is intimate, elegant and fun. We specialize in telling the story of the relationships between our clients and their guests. We are deeply passionate about our craft and our clients and we are in this business because we love what we do and our overarching goal is to create raving fans while having the time of our lives." Click here to purchase your event tickets! Be sure you're showing up to our May event with a serious appetite. We have delish food lined up for you, courtesy of not one but two amazing caterers! 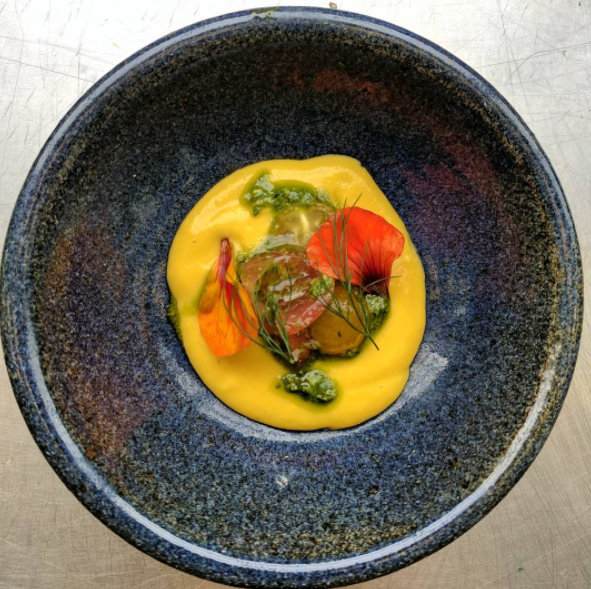 "Providing a superior dining experience '"Taylored' specifically for each guest; whether it be CorporateEvents, Wedding Receptions or Personal Chefservices, all prepared withfoods from local farms within the Bay Area." "Chef Lydia’s passion to create and serve fine cuisine was evident when she cooked her first meal with her father, Jeffrey, at the age of six. Simply making food was not enough her young heart - creating a memorable experience around the dinner table gave her far more joy. Throughout her school-age years, she continued to pursue crafting culinary excellence at home until she made the decision to enroll in the California Culinary Academy in San Francisco in 2003. She worked alongside world class instructors and graduated into an internship at the Ritz Carlton Pasadena under Craig Strong (now Executive Chef at Studio in Laguna Beach.) Soon after her return to the Bay Area, she gleaned further experience at The Blackhawk Grille in Danville. After toiling over the idea of opening a restaurant, her father suggested that she consider private catering services. Born out of a kindred relationship between father and daughter, Lydia’s fourteen years of experience have culminated in the exceptional cuisine that Jeffrey’s provides at every event, for every client. It is her desire to impart the same feeling of warmth and amicable camaraderie through the food - and people - around you." We look forward to enjoying this amazing food with you! Our May event is right around the corner and we are so excited to be hosting a discussion panel on the submissions process, how to get published, vendor etiquette, industry culture and so much more! "When people ask what sets Today’s Bride SF apart from all the other wedding publications that have come and gone over the last 22 years, our response is simple: Distribution. Distribution. Distribution. That, above all else, is why we’re the longest publishing wedding magazine in Northern California. While we love compliments about how beautiful the magazine is, our hearts do an extra flip every time someone says ‘we see Today’s Bride everywhere!’"
"If there's one thing you should know about me, it's that I LOVE WEDDINGS! I mean, I love every single part, from the down-on-one-knee prince charming proposal to the hunt for the perfect lengha to the planning of an extravagant event filled with roses and radiance. To me, there's nothing better than spending an afternoon poring over oodles of wedding images—and now it's my day job! Once I met my soul mate, I fell headfirst into the world of weddings and discovered that my love for South Asian ceremonies and events was sort of unstoppable. So I started blogging about my new obsession and it quickly pushed my career in finance to the back seat. Now I am constantly on the search for the most unique, imaginative, glamorous, and glorious South Asian weddings around. Today, Maharani Weddings reaches over 800,000 Indian brides and bridal enthusiasts each month through the MaharaniWeddings.com website and social media channels. Each day, the editorial team at MaharaniWeddings.com publishes 20 to 25 pieces of original content focusing on trends, Indian Wedding ideas, and real weddings." "Blu Bungalow is a high-end, complimentary planning experience where brides, grooms, and anyone planning a special day can create their dream event with the knowledge and assistance of experts. Founded in 2010 by Hazel Bourget, Blu Bungalow is comprised of a boutique and website to showcase and access the best vendors in the events industry. San Francisco marks the flagship location for the company, the first of its kind in the region. Founder of Blu Bungalow, an Event Planning Studio, Hazel Bourget made her way into the wedding industry as a planner in 2005. For the past twelve years, Hazel has continued to foster her love for all things celebrations. Hazel’s background is in legal and business. Her unbound creative passion coupled with her real world pragmatism and strong business/organizational foundation propelled her to launch her own business where she can continue to work alongside talented vendors with engaged couples. Hazel has leveraged her MBA and work experience in Silicon Valley in assisting creative companies with marketing, finance, and legal to ignite the growth of their business. By consulting hundreds of engaged couples and partnering with all types of wedding vendors, Hazel has developed rare expertise and deep knowledge of the events industry on both the business and clientele side." We are thrilled to be hosting the May SF NACE event at the historic Monroe SF! "Monroe is located in the old legendary "Jazz Workshop" venue. It was here where the greats: Miles Davis, James Moody, Johnny Coltrane, Lenny Bruce & other legends performed. In October 1961 Comedian and counterculture icon Lenny Bruce was infamously arrested here by the SFPD for obscenity during his performance at the Jazz Workshop (now Monroe). Monroe features a unique event space that embodies both energy and sophistication. Whether it’s intimate cocktails with friends, or a corporate reception for hundreds, Monroe's versatile setting is ideal for your next event. Our full-service team is available to ensure all details are attended to, including signature cocktails, decor, lighting, catering and A/V. Our staff can also work with outside event planners if preferred." Our May event will be hosted at the beautiful and historic Monroe SF! Not only are we excited to hear from our panel on the submissions process and more, we can't wait to listen to the talented Magnolia Jazz Band as we mingle throughout the evening! We just want to say a huge thank you to them for not only sponsoring our May event but being such an active SF NACE member! "The Magnolia Jazz Band helps people celebrate. Ranging from a strolling trio to a swinging six-man band, they bring upbeat elegant music to sophisticated weddings and parties throughout the San Francisco Bay Area." This year the SF NACE board went to Napa for our annual retreat! We had the pleasure of boarding the Quattro Vino Wine Train first thing in the morning and spending the next six hours enjoying the beautiful wine country scenery, eating the delectable food on board, and sipping wine from four fabulous wineries along the way. The Quattro Vino departs from the heart of Napa at roughly 10:00 AM, as you board the train you are greeted with a glass of champagne and a stunning remodeled vintage train car complete with luxurious seats and tables to sit around. 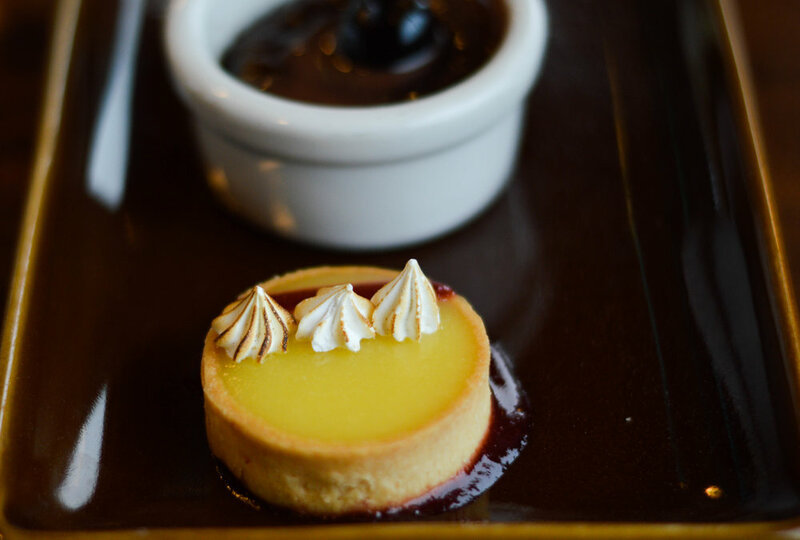 As the train leaves the station the first course is delivered, and after each stop, another course is brought to the table all while you have the option of ordering wine and other beverages in between (don't worry, they will keep them chilled as you exit the train for each stop)! To sum it up: the service is impeccable, the food delicious, and the view is unparalleled, making this the perfect outing for any group! 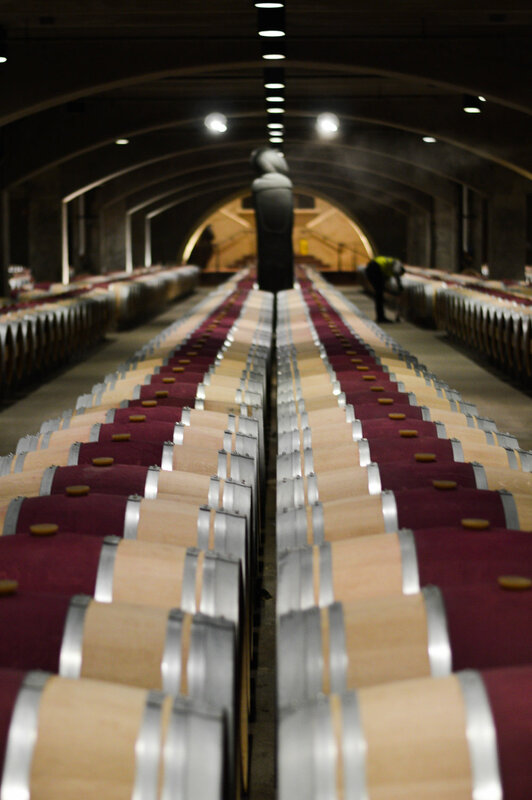 "Robert Mondavi established his namesake winery in 1966 with a vision to create Napa Valley wines that would stand in the company of the world’s finest. He chose To Kalon Vineyard in the heart of the Napa Valley as the home for Robert Mondavi Winery. This first-growth vineyard, located in Oakville, California, is renowned for producing some of the finest Cabernet Sauvignon wines in the world, as well as for its Sauvignon Blanc grapes, from which Mr. Mondavi crafted his signature wine, Fumé Blanc." "The oldest winery in Napa Valley is also home to California's first tasting room. Opened for public tastings in 1882 by Charles Krug, our tasting room has evolved into a world-class hospitality center, renowned for its exceptional wines, stunning design, and storied heritage." "Merryvale's proprietors, the Schlatter Family, are winemaking traditionalists with a deep respect for Napa's winemaking legacy and a dynamic vision for the future of Napa Valley. They are committed to preserving the winery's rich history without compromising their forward-looking plans. With acclaimed winemaker, Simon Faury, they have sharpened their focus on Bordeaux varieties, the wines for which Napa is most renowned." "V. Sattui Winery stands today as the result of hard work, dedication, and the extraordinary vision of two men who happen to be related. Vittorio Sattui started the business in 1885 after emigrating from Genoa, Italy. The law-abiding Vittorio was forced to shut down when Prohibition went into effect, and the winery would lay dormant until 1976, when Vittorio’s great-grandson, Dario, would realize his dream of resurrecting the family business in the town of St. Helena in Napa Valley." 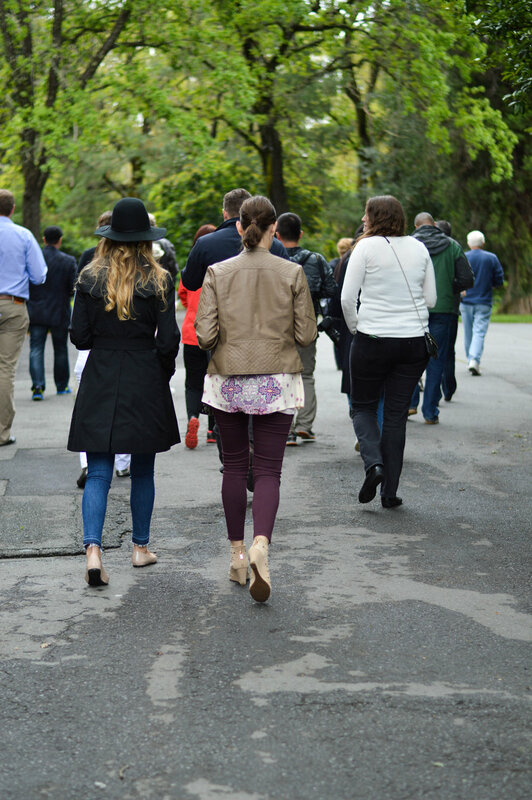 Not only was this the perfect day for connecting with one another and brainstorming amazing ideas for the 2017 calendar, we were able to experience some of Napa's most beautiful wineries & event spaces! We highly suggest that all of our industry friends experience this for themselves so they can pass it along to all of their clients! 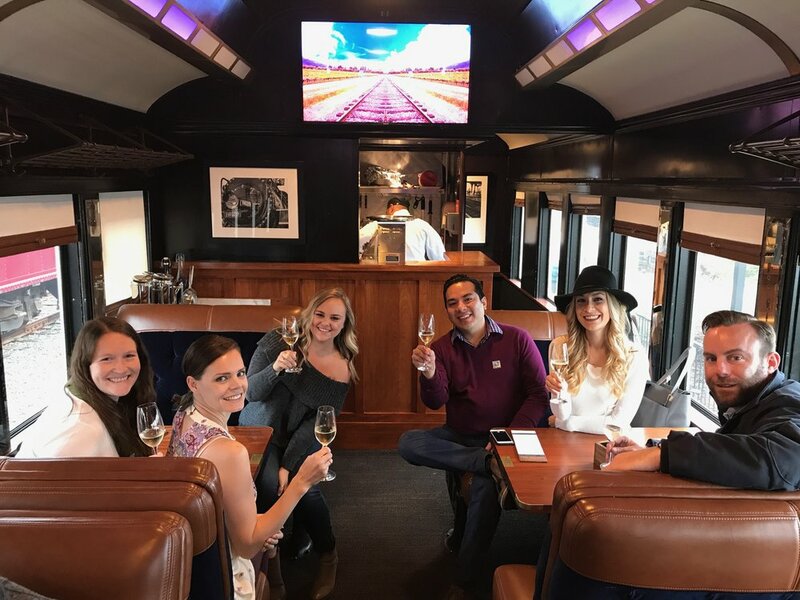 A HUGE thank you to Robin and the Napa Valley Wine Train for allowing us to be among the first groups to experience the Quattro Vino experience! SF NACE events give members and non members an opportunity to showcase their talent. It's often the case, that we know alot of amazing friendors, but we don't always get to speak first hand about their goods or services. Every month, we try to mix it up so attendees can sample the flavor and service of different caterers and purveyors of tastiness. Sometimes it's a whole new caterer, or sometimes is a long time favorite sharing something from their new menu. We're exited to have our friends at Fork and Spoon Productions provide us with some nosh for our March meeting. They've even paired up with SF wine to provide beverages... in short, if you're not attending this month's meeting, we think you're missing out! At Fork & Spoon Productions, we believe in uncompromising attention to detail that makes a San Francisco party everything it should be—not just good, but truly memorable. 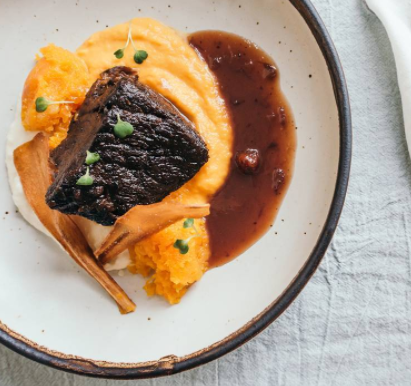 From thinking up original ideas to sweeping up that last crumb, Fork & Spoon Productions revel in creatively customizing every menu, tapping into what is freshest and what suits your individual taste and imagination. 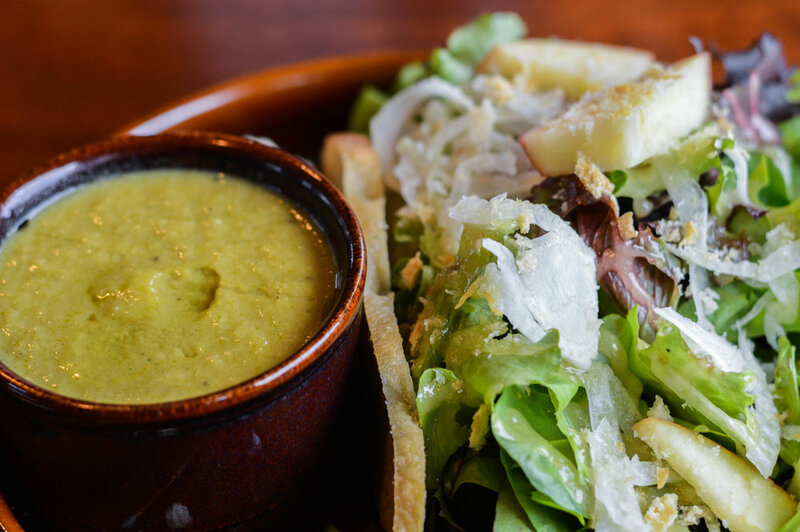 Elegantly serving ingredients from local farms marks the Fork & Spoon cooking philosophy. With our full-service approach to providing gourmet food, spectacular flowers, original design, lively entertainment and anything else you might need, you can relax, have fun and enjoy the party! The San Francisco Wine Trading Company has been a Bay Area landmark since 1976. Like any good story about wine, ours is one of family, hard work, and constant evolution. Our quality offerings are almost entirely comprised of artisan, boutique, and family wineries, because we believe in the family farmer and we only want to sell you wines that we would drink ourselves. 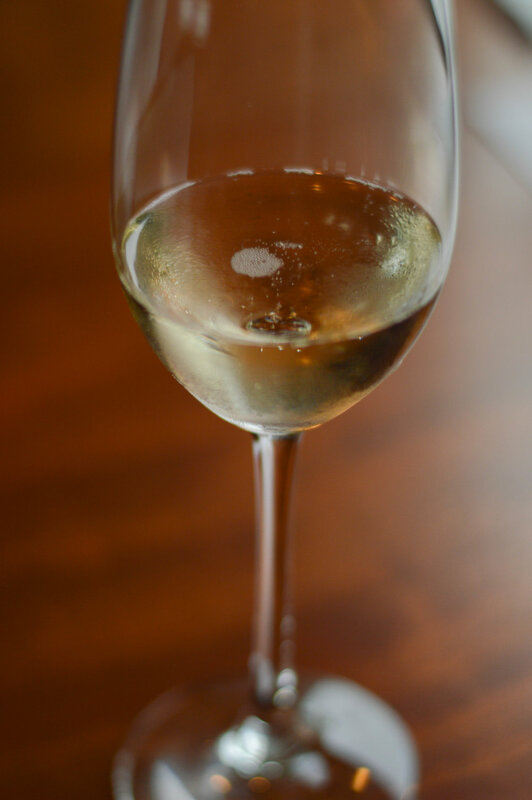 We focus on cultivating a loyal clientele, so whether you need help planning a party or wedding, are looking to build a personal wine cellar, or would like to order something special that we don’t currently offer, we are happy to help. Our March event will be hosted at One Kearny Club, which is gorgeous and has quite a bit of great furniture in a wonderful modern style, but of course, events industry people always want to jazz things up a bit more... So our wonderful friends at Standard Party Rentals will be providing us with some gorgeous linens (we won't tell you which ones, we wouldn't want to spoil the surprise!). Big thanks to Standard Party Rentals, Click here to register for our March Event! From intimate dinners to elaborate environments, Standard Party Rentals delivers precisely the right elements to create the perfect setting for every event. As a leader in the events category, our standards are high. Our proven approach to creating memorable events is rooted in the collaborative nature of our client partnerships. Family-owned and operated since 1984, we’ve remained the go-to source of rentals for the Bay Area’s most talked about events. If you love doughnuts, you're in for a sweet treat... Our March event features a taste of the seriously delish confection that Johnny Doughnuts can bring to your events. 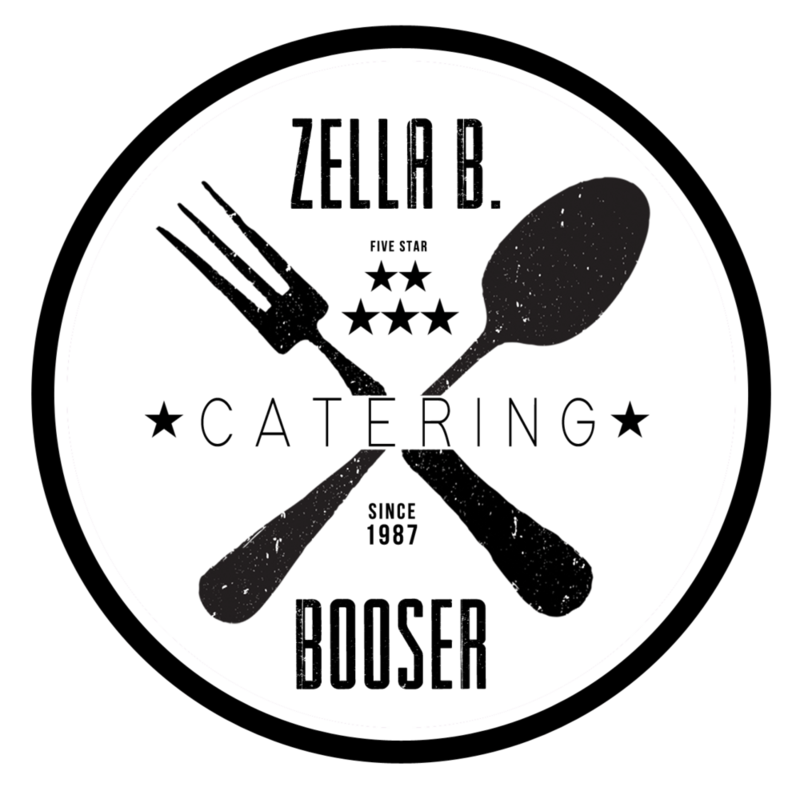 three beautiful food trucks that are perfect for any event and customized for you! Johnny also offers delivery for corporate and office events of all sizes. We pride ourselves on using local, organic ingredients with each doughnut hand cut. Make sure you've registered for our March event! You don't want to miss out on some Johnny Doughnuts Goodness! Our February SF NACE event is right around the corner and we're really looking forward to seeing everyone for an afternoon of sampling amazing food and hearing about what's trending in Indian weddings from Chef Ranjan Dey himself! Chef Ranjan Dey started his career in the food business at the age of 14 at Calcutta's Park Hotel as a vegetable cutter. After finishing high school, he graduated from Institute of Catering Technology, Hotel Management, and Applied Nutrition. He then worked at the Grand and Great Eastern Hotels in Calcutta before he moving to New Delhi where he worked in Akbar and Janpath Hotels. Prior to moving to Hong Kong, Ranjan spent two years as a senior Chef in the kitchens of the Maurya Sheraton Hotel in New Delhi. On January 20th 1984 he opened the first New Delhi Restaurant in Tsimshatsui, Kowloon, from there the restaurant grew and he moved New Delhi's three times before settling into San Francisco. Now the restaurant is decorated like a Maharajah's ornate banquet room and serves food made from some of the freshest ingredients available. They host weddings, cater events, and offer planning services for Indian weddings held at the restaurant! We're excited to learn from Chef Ranjan in his beautiful restaurant! Be sure to get your tickets ASAP here. Follow New Delhi and Chef Ranjan Dey on Facebook and visit their beautiful website for more information! All About the 2016 Gala: A Huge Thank YOU! Our 2016 Gala was a huge success! We couldn't have done it without every single sponsor, donation and attendee! There isn't enough high five emojis in the world to express how grateful we are to everyone! Preparing for our October event has us reflecting on all the amazing summer events our local community has pulled off. If you were to count all the events the SF NACE membership alone successfully executed over the course of the summer, you would be completely impressed (not to mention all the upcoming events, because you know, late summer in SF is delightful). The common denominator of all the events is the food and beverage. Without delish food and refreshing cocktails, events just wouldn't be the same. Today we're going to share a little more about the fantastic food and beverage sponsors making our October Event possible:. Our October meeting is just around the corner and we're excited to see everyone there! Make sure you invite all your industry friends-Members and non-members are invited! Whether it's the close family & friends surrounding the lives of a bride & groom or hundreds of fans coming together to support an artist, we work hard as a collective to ensure that every event we produce is exciting, representative of our clients and memorable. We're excited to share that SF NACE member had a huge hand in surpassing these event production goals at the recent Broadway Plaza Grand Opening Celebration in Walnut Creek. Sponsor Spotlight: September SF NACE Meeting Sponsor Culinary Eye Catering & Events is more than just a catering company. 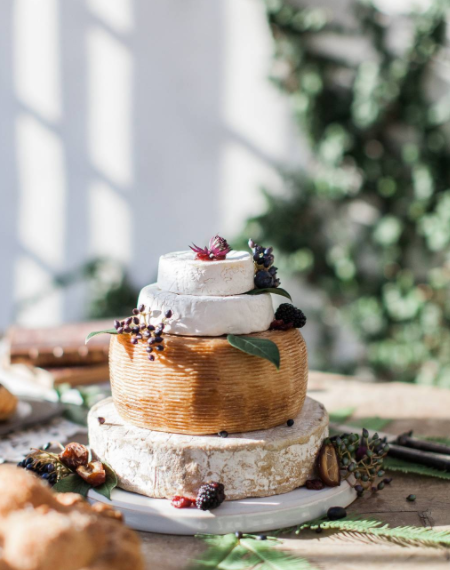 The creativity, attention to detail and true relationship created with each client ensure that every event is the perfect combination of great food and fantastic memories.